The day I gave Ericke my flight details, I asked that we go eat out after the long flight. She suggested ramen, but we had freezing green tea ice cream and shaved ice with sweetened red beans and a cocktail of fruits at Boba Time instead. Los Angeles is really hot and humid right now. But then when you are raring to try ramen in LA, there’s always another day. It’s cool for me and the blog to be hanging out with foodies. 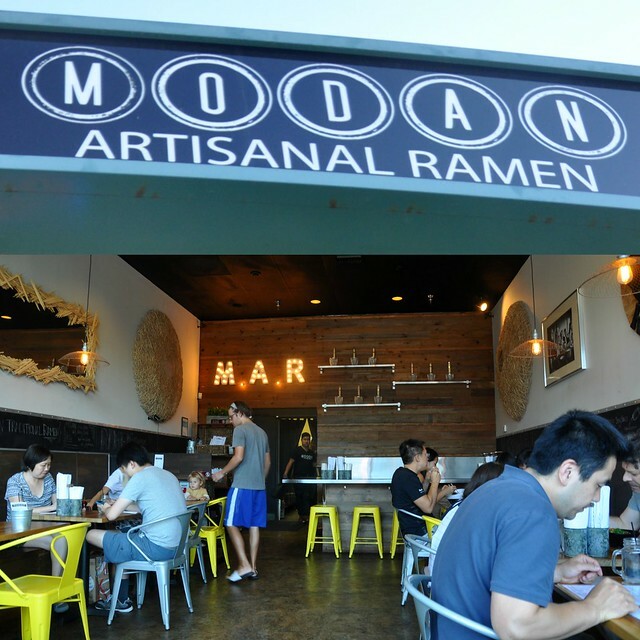 My sister Nikko and Ed went to Modan Artisanal Ramen near Bristol Farms in South Pasadena. We had to go early because the place is always full according to Nikko. We got a table a right away, but it was soon starting to fill up. Modan is slang for modern Japanese. 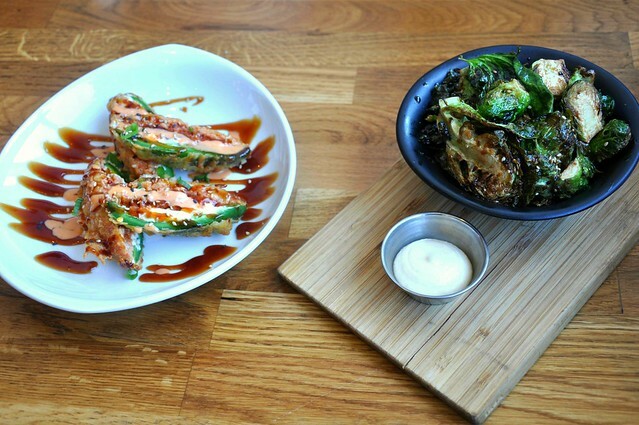 So as the name suggests, Modan puts an artisanal twist to traditional ramen. They have three kinds of ramen — modan, shoyu and spicy. We all got modan ramen with black garlic truffle oil, chasu (braised pork that’s extra-tender) and marinated soft boiled egg. Rich and milky without the “umay” feel towards the middle to end, the modan ramen reminded me of the clean flavors of Ramen Yushoken’s shio ramen back home. Though nice and al dente, the noodles were different. I asked if they make their own noodles. The answer was no. The other food we savored were seasoned brussels sprouts, and stuffed jalapeños, which was new on the menu. The jalapeños were appetizing, still very Japanese, especially with mayo anchoring the flavors. And there goes the twist. Incorporating local produce is contemporary. 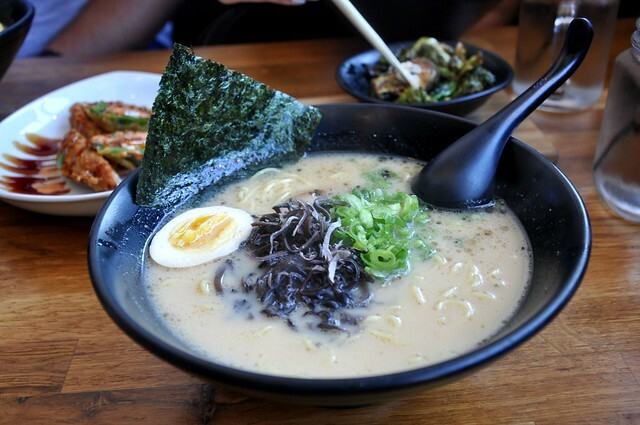 I definitely would get my ramen fix at MAR again.